Some movies come along and change everything. 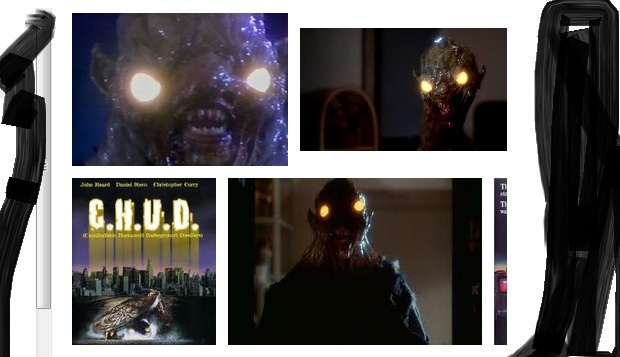 I don’t think that 1984’s “C.H.U.D.” was such a movie, really. But it did give us the expression CHUD, so there is that to think about. The film was directed by Douglas Cheek, who apparently never directed anything else again. Maybe he set the bar too high for himself, or maybe, just maybe, it is so bad he retired forever. I’m anxious to let Lovelock and Starkwell loose on this Anchor Bay release. Lovelock: That’s why you’re never supposed to go near a sewer that has steam coming out of it. Starkwell: Wait, you’re not? Oh and, yeah, that’s why. Starkwell: She looked at the camera. John Heard is incredible. They said it, and I agree. Lovelock: No wonder the CHUDs are on the rampage. When they revealed the homeless guy’s wound, Lovelock regretted that he was eating a smooth and spicy green curry. Starkwell: Finally, a cop that isn’t afraid of a little smelly. Lovelock: Do you mean the smell of the sewer or of the Reverend? Lovelock: Should this really count as a zombie movie? Starkwell: They look gross and eat people. So, that's definitely a start. Lovelock: That girl looked at the camera again. Lovelock: You think the Ninja Turtles got their idea from this? Starkwell: You mean the people who created the Ninja Turtles? Daniel Stern is incredible. They said it, and I agree. Starkwell: What the hell was the point of that? Lovelock: I guess if you can afford Lacoste polo shirts, you don’t mind wasting a few quarters. Starkwell: I don't think they were as expensive back then. Starkwell: How can you gas the sewer? Starkwell: I think they just threw dirt into Daniel Stern’s face before every scene. Lovelock: Probably helped him get into character. Lovelock: That’s why I always just leave drains clogged. Starkwell: So that’s why I always have to unclog the toilet? Then John Goodman was in the movie for five seconds. Starkwell: If something was mysteriously banging on the basement door, no kid in all of history would ever pull on the handle. Lovelock: Well, no smart kid anyways. Starkwell: Are we really supposed to believe that she could actually cut through a CHUD neck? Lovelock: Are we really supposed to believe that she could be a perfume and / or undiewears model? Lovleock: I’d hate to drive in Boston if a pothole really could do that. Great cast, great story, great action. Cannibalistic Humanoid Underground Dwellers for the win. They’ve asked me to find C.H.U.D. II, especially since it’s unclear what really happens to the CHUDs at the end of this. I saw this back in the day and enjoyed it. I'm not sure I'd watch it after all this time now though, special effects having moved on a bit. Classic! I've loved Cannibalistic Humanoid Underground Dwellers since I was a twisted teen working at Blockbuster! I also totally forgot John Goodman was in it. And just to wave my super-nerd flag, the Ninja Turtles were taken from the origin of Daredevil, the blind superhero. I'm not kidding. Holy $#!% I'm a f&^%ing geek. @Arlequin: They still hold up, plus they have that feel of real, as opposed to CGI. 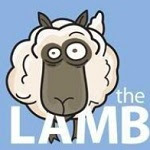 @Pickleope: Thanks for the lesson! CHUD II Bud the Chud, is a disaster...just reviewed it actually. A bore of a film, and childish in nature.